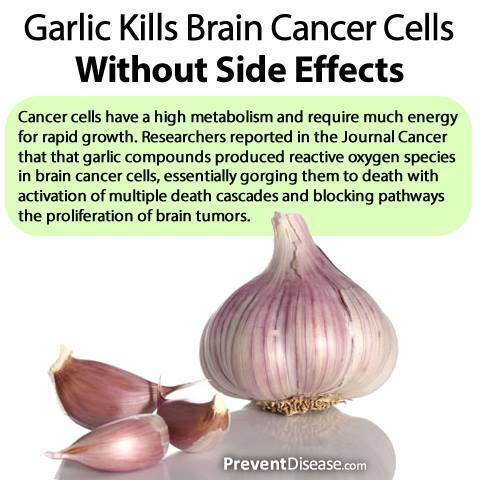 GARLIC - Not Just a Vegetable But MEDICINE! In our home, we use garlic all the time. The moment we start feeling under the weather we start chopping. We chop several cloves of raw garlic and swallow it down with water. Kinda like we are taking a bunch of little pills. We like to call them "nature pills". No chewing. Just swallowing 2-3 cloves several times a day until we start to feel better. Garlic is our natural antibiotic. See below for our ear infection treatment. :1. Garlic Contains a High Amount of Antioxidants – The antioxidants destroy free radicals and reduce overall oxidative stress. Free radicals can damage DNA and cell membranes. High levels of oxidative stress have been associated with many diseases and conditions. Antioxidants are also beneficial for preventing types of cancer. 2. Garlic Lowers Your Cholesterol- A study found that the consumption of garlic reduced cholesterol by 9 to 12 percent. Reductions were noted in LDL cholesterol, and triglycerides. 3. Garlic is Antibacterial- Garlic acts as a natural antibiotic. It is able to eliminate harmful bacteria but does not kill off healthy bacteria as chemical antibiotics do. 4. Garlic is Anti-fungal- Garlic’s Allicin is also responsible for destroying fungi. Many use garlic as a means of eliminating fungal infections. 5. Garlic Thins the Blood- Garlic consumption has been shown to thin the blood which can aid in preventing heart disease, the formation of blood clots, heart attacks and stroke. 6. Garlic Boosts Your Immune System- Garlic has strong antiviral properties. To many in Russia, garlic was known as “Russian Penicillin” due to its abilities to effectively treat infections. A study found that garlic is effective at preventing and treating the common cold. It found that those who consumed garlic had significantly fewer colds and the length of their cold was shortened compared to those who did not eat garlic. 7. Garlic Lowers Risk of Atherosclerosis: Studies suggest that garlic may prevent blood clots and destroy plaque which contribute to the development of atherosclerosis. 8. Garlic Lowers Your Blood Pressure- Garlic has been used in China for many years as blood pressure medication. Additionally, the Japanese government officially recognized garlic as a blood-pressure depressor. 9. Garlic Helps Your Joints- A study found that those who eat high amounts of garlic were less likely to have osteoarthritis. 10. Garlic Prevents Cancer- Increased intake of garlic has been found to be associated with the reduced risk of certain cancers. This includes cancers of the stomach, colon, esophagus, pancreas, and breast. 1) In a sauce pan over medium heat, add 1 tablespoon of coconut oil and 3 cloves of sliced organic garlic. 2) Heat until garlic is cooked, about 5-10 minutes. Do not burn or overcook. 3) Remove from heat. Let cool. 4) Remove garlic from oil. 5) Strain coconut oil into a small glass jar. 6) Once oil is cooled, apply 3-5 drops directly in the ear canal of child. I normally lay my child on their side, on the couch with a small towel. I put on a favorite DVD and let them lay there while the oil sits in their ear for about 5 minutes each. Here we are, 4 years later, and NOT 1 antibiotic for an ear infection thanks to natures goodness. Go ahead try it... let me know how it goes!